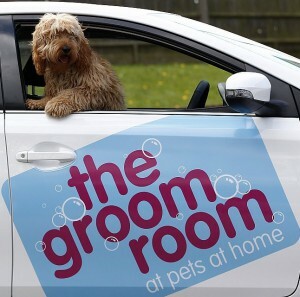 Specialist pet care business Pets at Home are expanding their successful grooming service, The Groom Room, by adding six Toyota Auris Hybrid hatchbacks to their fleet. The UK-built Auris vehicles will be driven by regional district managers, covering around 30,000 miles a year. Simon McKee, Pets at Home Fleet Manager, said one key reason for choosing the Auris hybrids was the amount of town and city driving his managers would do. “We chose Auris Hybrid because it’s efficient, environmentally friendly and large enough to fit the various dog grooming equipment in without being imposingly big if the driver isn’t used to larger vehicles,” he added. The Groom Room, which opened in 2009, currently has 89 in-store salons, but there are plans to open a further 30 in the coming year. Pets at Home was recently ranked number one in the Sunday Times’ Best Companies to Work for 2013 list. The Auris hybrid system uses a 1.8-litre petrol engine and a high-output electric motor. Engineered to use as little fuel as possible in city driving, the electric motor enables zero-emissions driving in slow-moving traffic. A stop-start function also ensures no wasted energy when the vehicle stops, while the Auris Hybrid has the same boot space as its petrol and diesel sister models. The Auris Hybrid is built at Toyota UK’s manufacturing plant in Derbyshire.